Collingwood, Ontario (September 28, 2018) – MacLean Engineering (“MacLean”) has purchased the former MTI test facility on Magill Street in the Lively neighbourhood of Sudbury, Ontario, less than a 10-minute drive from the MacLean Sales, Service and Support Centre on Kelly Lake Road. 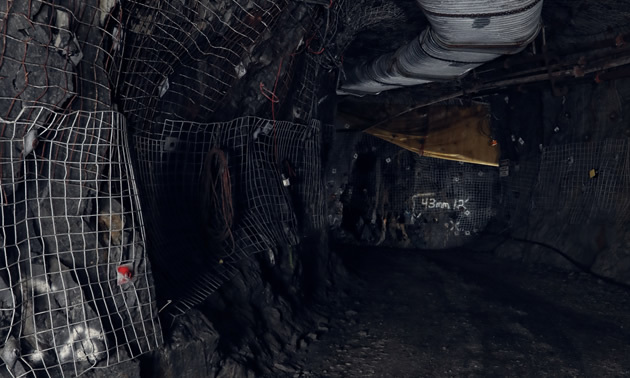 The property includes an approximately 300-metre (1,000-foot) underground ramp down to a depth of some 40 metres (120 feet), at an average grade of 15%. The underground facility also includes an excavated cavern where shaft jumbo mucking training had previously been conducted, along with a 4,500 square-meter (15,000 square-foot) building on a three-hectare (eight-acre) site footprint. “We are thrilled to now have unfettered access to an underground facility that gives us a research and development test bed for new products and new technologies, a mine-equivalent setting for conducting quality assurance/quality control checks on MacLean equipment prior to shipping, a place where employees and customers alike can be given hands-on exposure to our equipment in the working environment, as well as a great location for conducting photo and video shoots,” adds Stella Holloway, General Manager for MacLean’s Sudbury operations.